There are several ways where print advertising can improve customer engagement, drive brand awareness and ultimately generate sales. Today, in the UK, one of the most popular ways is through the use of Portable Display Stands. They are durable, effective, easy to use, simple to transport and can be re-used many times; proving to be fantastic value for money. The use of Portable Display Stands will help set your brand apart, through the use of elegant creative, designed specifically for your potential audiences. Blue Dot Display is the market leader for creating, designing & producing quality display stands throughout Surrey and Hampshire. Our team of experts can guide and advise you on the best designs and methods. they will engage through colour, imagery and impact. A great choice for experiential marketing, where there is an opportunity to engage closely with your prospects and bring your Brand to life. 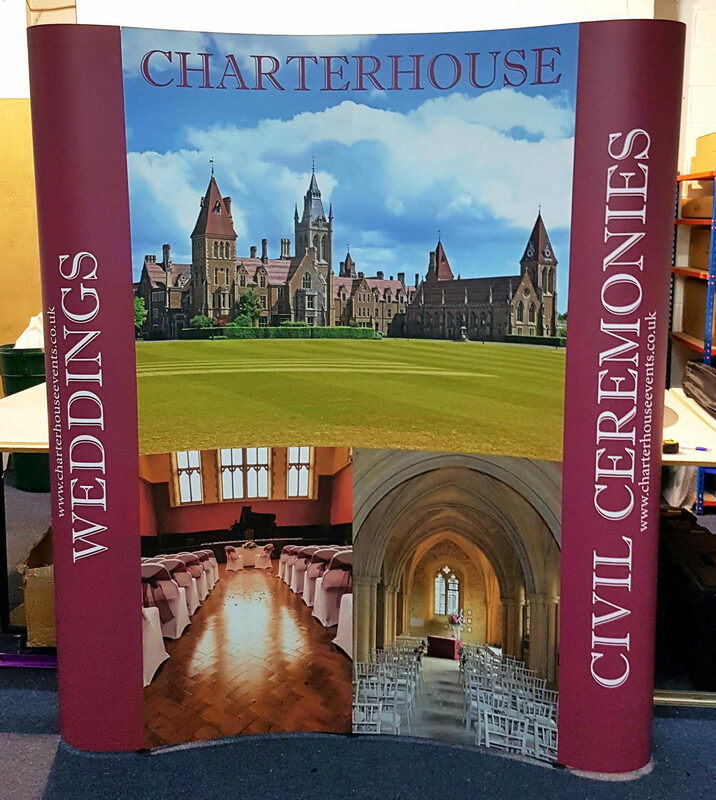 Our hugely experienced, professional print and design team will ensure your display stands are stunning and effective in achieving your desired result. 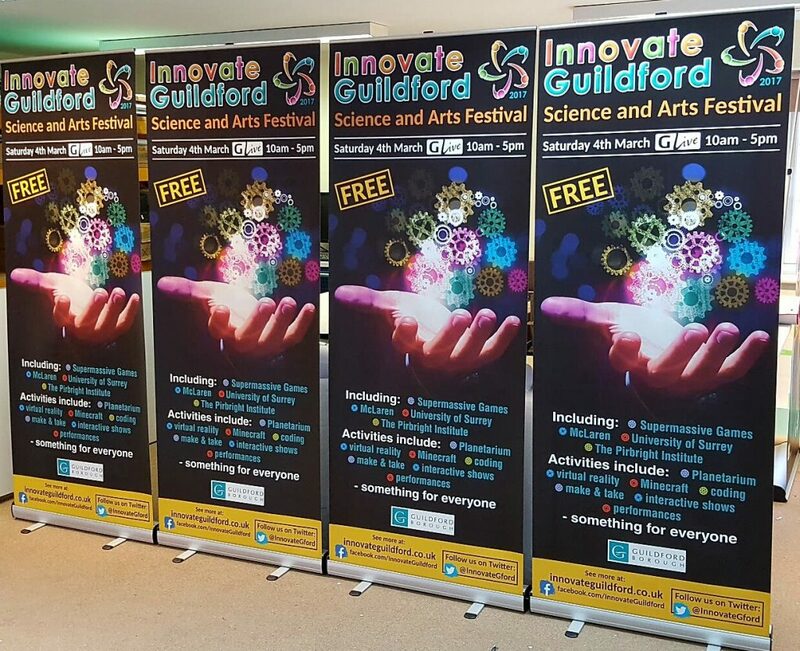 At Blue Dot Display, we have a wealth of experience in creating a variety of portable display materials including roller banners, freestanding banners stands, PVC and vinyl banner stands all at cost-effective prices. Our team will discuss your specific business needs and work with you to deliver the right option to generate maximum awareness & communicate the right message. These innovative display stands are very lightweight, making them easy to handle, put up and transport. Being reusable, ensures that they can be used time and again to support your marketing initiatives. 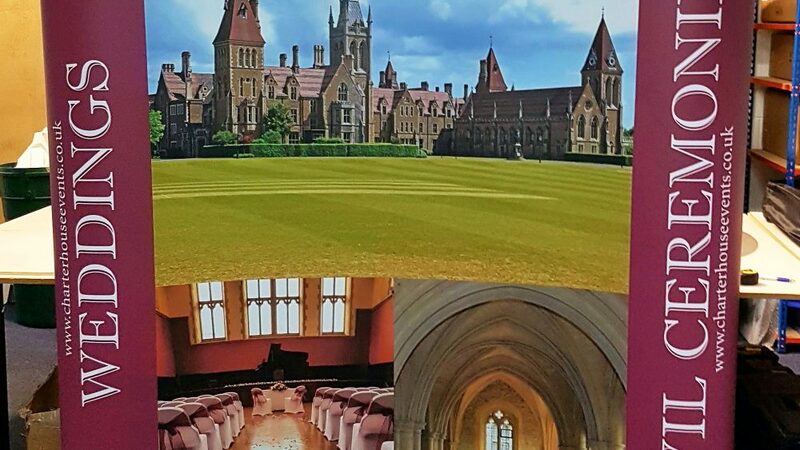 If you’re looking for the best print business in Surrey and Hampshire, then click here https://www.bluedotdisplay.com/services/banners/ or for further information please call us on 01483 861168.